The energy around Full Moons usually feels a bit like a pressure cooker, and right now it feels like it is boiling. The watery deep emotional energy of Cancer that we were feeling a few weeks ago in the New Moon is turning into more impersonal and withdrawn energy as the Moon enters into the sign of Aquarius. Aquarius is an air sign, so you may feel yourself less connected to your emotions and your heart, and more in your head about things. It may be easier for you to engage in activities that are more intellectual or involve some problem solving. If need be, you can use the gift of the Aquarius to pull back to see the bigger picture. This is a good time to contain your energy a bit, and take a moment to listen to what is beating inside of you, try to feel what is pulling you, what direction you are being asked to take. Think about the bigger picture of your life. You can think of it like a tread that is reaching out into the future, what is on the other end of that, what is calling to you? If you feel the need to reach out and connect to others during this time, think about doing humanitarian activities that help the community, or give back in some way. Take part in something that is for a greater change in the world, helping the collective takes on more importance than the personal during this time. The sun enters the opposing sign, Leo. You can balance the cool and impersonal nature of the Aquarius with the energy of the Lion, and it's ability to radiate it's essences from the heart. Leo energy is all about expressing the core self in a joyful, dramatic, and colorful way! Find ways these next few weeks to get in touch with this, be playful, and being in the Sun is also a great thing to do right now. * on a personal note, my South Node is in Aquarius and my North Node is in Leo. Your South Node is the knowledge you have come into this life with, and the North Node is what you are learning about in this life. If you would like to find out your North and South nodes check your Natal chart, or this was the best guide I could find for a quick reference. 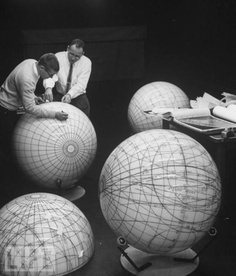 Scientists study the phases of the moon on lunar models in preparation for an eventual manned flight to moon.